Site test procedure covers all necessary electrical testing for the 110 kV cable and accessories to be carried out during and after installation of the cable system. 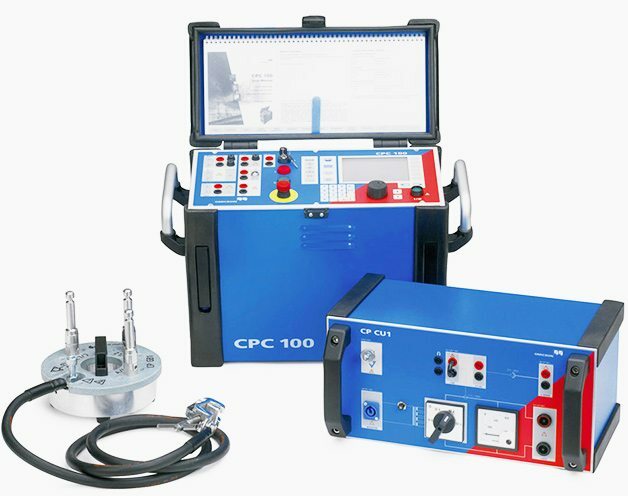 This procedure is in line with the requirements of the contract suitable for 110 kV, XLPE cables and accessories and the tests are in accordance with TCSP-104.08, IEC 229, IEC 540 and IEC 840. (Standards Reference is IEC 60840, and relevant SEC Transmission specifications 11-TMSS-02, TCS-P-104.08). After complete installation, the cables are to be identified with respect to their phases and are to be reconfirmed whether they are correctly marked or not. The screens of all cables at one end are to be shorted and grounded. The conductor of the cable under test is to be connected to the negative pole of the meter. The positive pole of the meter is to be grounded. Through a switch ground the other end of this conductor of the cable under test and measure the resistance. If the resistance becomes zero, the phase identification is ok and checks whether the correct color coding is applied or not. To cross check, open the switch, the meter shall read high resistance (Tending to infinity). Similarly repeat the test for other phases and verify the correctness of color coding. The DC resistance of conductors of the cables, to be measured at ambient temperature before conducting any other test, and the values are to be computed for 20ºC. Any wheatson bridge, micro Ohm-Meter. Any industrial type thermometer to measure the ambient temperature. The conductors are short circuited at the far end by minimum 95 mm2 cable. The other ends of the cable are connected to the bridge according to equipment instructions. Note down the measured value. The resistance of conductor at 20ºC/km is obtained by substituting the measured value in the formula. The capacitance shall be measured between conductor and metallic screen. According to IEC, the measured value shall not sxceed the normal value specified by the manufacturer by more than 8%. IEC 60840 – Applies to cable voltage ratings between 30 kV and 150 kV. It includes a regular type test sequence for cables and a separate sequence for the cable accessories. Connections are made as per below schematic. Connect the instrument cable between conductors and metallic screen and take the measurements. The capacitance is measured between each individual conductor and sheath. A capacitance bridge is used for this measurement. L – Length of Cable in km. Electrical engineer with more then 5 year experience in Electrical Transmission and Distribution Field. Highly specialized for design, installation and testing of HV/MV T&D lines and Power Substations. I really thank you for providing us with these information of HV cables site tests and we have learnt from them well. 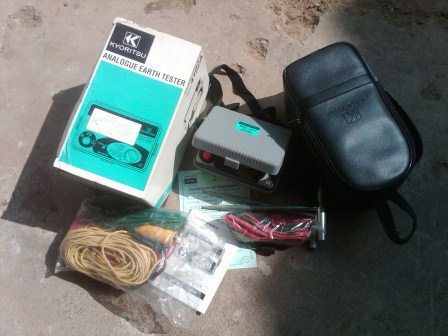 You are really doing a good job by providing necessary information regarding field testing of power cable.I would like to suggest, please mention the specific standard of each testing, clear connection drawing of testing and achievable values of testing.it would be even better if you please provide this information. Anyhow, the overall article was so good and keep up the good work. Best of luck for the rest of your life. what differ between shield and screen in medium voltage armored cable where I need to do test between continuity test between shield and screen. That is to avoid making the cable screen (Grounding) a part of the Grounding system of the Network (or Substation), if not then a huge earth fault will be induced in it and may damage the cable (because it is not made for this purpose). I am indeed grateful on how this EEP have educated me on electrical repairs,maintenance and installation. Thanks. I dearly need a hard copies of this EEP as concerns all treated topics. thank you jalees sahab, please go through the whole article. its not copy-paste. i take the references of SEC standards and i mentioned this in it. Thanks for the article, I used it as a guide to develop my write up about cable testing. But notheless, I would require you to give me some standards for cable testing in a tabular format, equipment used and the expectations (result). How test instsllrd ACSR CONDUCTOR? I am working in Power house in operation + maintenance it is very interesting and informative .You are doing good for others and new comer. Yes , I am a Electrical Engineer , I often read and download various articles , I did graducation in 78 , now retired , a layman in this field , feel you are doing a great service , happy new year , god bless you. I’ve a question regarding DC Conductor Resistance. 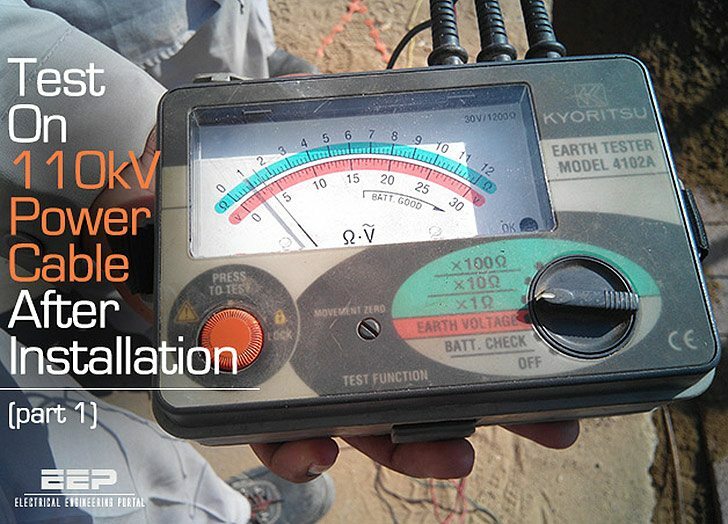 I did this test many times for 1200 sqr.mm cable of 132kV and 115kV network in Saudi Arabia. But the connection was different. I shorted R-Y, R-B to calculated DC Resistance of R-Phase. Similarly, B-Y, B-R and Y-R, Y-B for Blue and Yellow Phases respectively. Now here you have shorted all 3-phases together. This does alter the test results ??? dear Abdullah, yes you are right we generally measure DC resistance at the time we measure the insulation resistance, both need shorting like you said. but if you are going to measure only DC resistance, you can do by this way. it does not alter the results and it is less time taking, no need to short again and again from other side. Good content for me. I follow this web to reference on my job. Thanks a lot. If you don’t mind, why dont you provide videos for individual test. It will be more helpfull for us. Please give us some video references. Will you be covering diagnostics and associated baseline measurements and trending recommendations? no sir, it is not covering diagnostics and recommendations but limitations of results are provided, based on the result you can diagnose. and i am interested to learn about it. Please send me all info about testing measurement !! This is very usefull and informative.